Being a photographer at bat mitzvahs in Los Angeles is something I really love doing, and this I Dream of Jeannie themed event, coordinated by Bob Gail Events, was no exception. 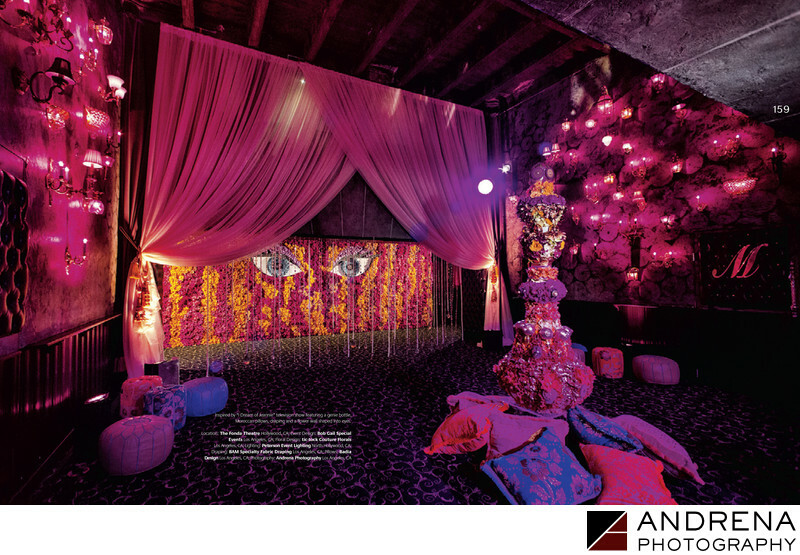 This beautiful image was featured over a two-page spread in Grace Ormonde Wedding Style magazine. I loved the flower-eye wall created by Eddie at Tic-Tock Couture Florals.